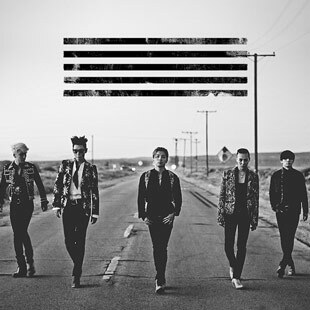 Big Bang is a South Korean band formed by YG Entertainment. The quintet debuted in 2006 with their formation being documented on TV. The group is often cited as one of the most influential K-pop acts in the industry that helped to spread the Korean Wave internationally. The group has sold over 150 million records, making them one of the biggest-selling boy-bands in the world. The group also holds a record of 18 number-one tracks that have collectively remained at the top of one of Korea’s biggest online music services for 51 weeks. Forbes Korea ranked them as one of the most powerful celebrities in South Korea in 2010, 2012, 2013, 2014, and 2016. They were also the first Korean artists to enter Forbes' Celebrity 100 and the 30 under 30 list of most influential musicians in the world, in 2016 and 2017, respectively.